Whether you are coming to Ellis Medicine as an inpatient, outpatient, or visitor, we want to make your stay as pleasant and comfortable as possible. The following information will help you to prepare for your visit to Ellis. If there is anything you do not understand, or if you need more information, please call 1.888.Ellis Info (1.888.355.4746) or 518.243.3333 and our Call Center staff will assist you. Across Ellis Medicine’s three campuses, Case Management professionals are helping to coordinate the care of patients and serving as the interface between one health care setting and another (e.g., from the hospital to a nursing home). The goal of our Case Managers, who are registered nurses, is to ensure the highest quality and best coordination possible across the continuum of care. At Ellis Medicine, our Case Managers are an invaluable resource for patients. They provide patient education, promote disease management and wellness/prevention services, and serve as a bridge to connect patients to the services they need in the community - whether it is health care related or another social need such as education, housing, food, clothing or financial assistance services. In the hospital, Case Managers work with a multi-disciplinary team of health care providers to create a plan of care that a patient follows after being discharged from the hospital. Case Mangers will visit with you and your family and assist in planning and coordination of post hospital services. Transfer to a rehabilitation center, skilled nursing facility, or assisted living facility. Address the social, emotional, crisis, advocacy, and discharge needs of our patients. To help you better manage your health and medications, print and complete a Personal Health Record. If you have questions about the Case Management and Social Work services at Ellis Medicine, please call 518.243.4101 or visit the office on the fourth floor, B-wing of Ellis Hospital, Monday - Friday, 8 a.m. to 4:30 p.m. If English is not your first language, or if you are hearing or vision impaired, interpreters are available by calling 518.243.1333. If your visit is unplanned, we will make every effort possible to accommodate your needs for an interpreter. If you will be coming to Ellis for outpatient services, please call 518.243.1333 at least 48 hours in advance to arrange for an interpreter. Ellis uses Stratus Video, a Video Remote Interpretation service that can connect any deaf or limited English proficiency patient to a medically certified interpreter in less than 30 seconds, 24 hours a day. 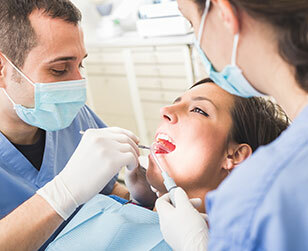 The Stratus Application, using wireless internet connection and 4G, ensures that the appropriate interpreter can be quickly reached at any time. By using a video remote system, Stratus combines the face-to-face benefits of an on-site interpreter with the immediacy of an over-the-phone interpreter. If English is not your first language, be assured that the language services you need can be accessed at any time. For more information contact the Ellis Call Center at 518.243.3333. Both outpatients and inpatients of Ellis Medicine are encouraged to bring to the hospital a list of all drugs that you are taking at home. Bring any advanced directive documents (Health Care Proxy, Living Will, etc.) and any necessary insurance information. You should bring personal care items such as a toothbrush, toothpaste, hair brush, shaving equipment, makeup and tissues for your stay at Ellis Hospital. Although the hospital does not supply personal toiletries, most of these items can be purchased in the Gift Shop, located in the main lobby, if necessary. Inpatients are provided hospital gowns upon admission. You may bring robes, slippers or shoes for your comfort. Robes should be worn well above the ankles, so you do not trip or fall. At all times during your hospital stay, you should wear rubber sole walking shoes. If you wear slippers, they must be non-slip and have a full back. Please send home any extra clothing and supplies that you do not need. Bring a list of the medications you take at home. Medication that you bring with you to the hospital should be presented to your nurse. Medications prescribed by your doctor during your stay will be supplied through the Ellis Hospital Pharmacy. 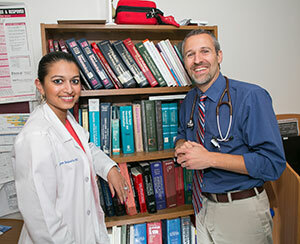 Many patients bring personal items such as books, magazines, games or electronic devices for their amusement. Please be aware that most rooms are not equipped with secure storage for your belongings. Your nurse can provide secure storage for valuables, wallets, jewelry, etc. For more information on what to bring to the hospital, contact the Ellis Call Center at 518.243.3333. Since it is often difficult to predict when you may be discharged from the hospital, it is best to advise people to write a return address on all items. For more information about receiving packages or mail, contact the Ellis Call Center at 518.243.3333. As a patient in a hospital in New York State, you have certain rights, consistent with the law, related to the care you receive. The Patients' Bill of Rights is designed to explain these rights in easy to understand terms. If you have any questions about the Bill of Rights, contact Ellis Medicine's Community Services department at 518.243.1333. Know the names, positions, and functions of any hospital staff involved in your care and refuse their treatment, examination, or observation. Receive all the information that you need to give informed consent for an order not to resuscitate. You also have the right to designate an individual to give this consent for you if you are too ill to do so. If you would like additional information, please ask for a copy of the pamphlet, "Do Not Resuscitate Orders-A Guide for Patients and Families." Participate in all decisions about your treatment and discharge from the hospital. The hospital must provide you with a written discharge plan and written description of how you can appeal your discharge. Complain without fear of reprisals about the care and services you are receiving and to have the hospital respond to you and if you request it, a written response. If you are not satisfied with the hospital's response, you can complain to the New York State Health Department. The hospital must provide you with the Health Department phone number. In addition to the New York State Rights listed above, each patient at Ellis Hospital has the right to understand and participate in decisions regarding the management of his or her pain. For more information about the Patient Bill of Rights, contact Ellis Medicine's Community Services department at 518.243.1333. Patients have the right to security and personal privacy of their health care information. Medical care sometimes requires that people other than the patient be involved in decisions about the patient's care and treatment options. Patients will be given the opportunity to involve family or surrogate decision-makers in their health care decisions. The patient has the right to every consideration of privacy. Case discussion, consultation, examination and treatment should be conducted so as to protect each patient's privacy. Ellis Medicine's Notice of Privacy Practices outlines our policies regarding access to protected patient information and your rights. As a patient, you have the right to participate in decisions involving your health care. You have the right to make decisions about your medical treatment including the right to accept or refuse medical or surgical treatment, and to participate in decisions regarding life-sustaining treatment. The medical staff, in collaboration with other health care disciplines, will provide you with information regarding the benefits, risks and alternate treatments that may be available to you. For more information patient rights and privacy, contact Ellis Medicine's Community Services department at 518.243.4009. At Ellis Medicine, we are dedicated to fulfilling our promise to meet the needs of our patients, community, staff and physicians. To accomplish this, patient satisfaction surveys are mailed to patients after they have received services through our Golub Center for Emergency Services, all inpatient areas, ambulatory surgery unit, and Bellevue Woman's Center. A few days after your visit to Ellis Medicine, you may receive a Patient Satisfaction Survey in the mail. These short surveys, which take five to ten minutes to complete, are reviewed to either assist in rewarding our valued employees or to implement performance improvement activities to make our services better. Your opinion is very important, and we hope you take the time to complete the survey and share your comments with us. Beyond the information we receive from patient satisfaction surveys, comments from patients are welcome at any time. 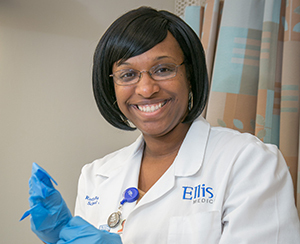 Our goal at Ellis Hospital is to provide you with quality services, so we need to hear about what you like, and what you don't, in order to constantly improve. Ellis Medicine is proud to participate in the national DAISY Award program that recognizes all that our nurses do each day to provide exceptional care to our patients. If you had a nurse you feel took exceptional care of you or a loved one, nominate them for the DAISY Award. the Patient Ambassadors in the Admitting Department, at 518.243.1333 between 8:00 a.m. and 4:30 p.m., Monday through Friday. If you have a concern that remains unresolved, you may notify Ellis Medicine's President at 518.243.4141. Should you wish, you may also contact the New York State Department of Health at 1.800.804.5447. Or you may contact The Joint Commission, the independent, not-for-profit organization that accredits and certifies Ellis Medicine,, by phone at 1.800.994.6610, or via mail at: Office of Quality Monitoring, The Joint Commission, One Renaissance Blvd., Oakbrook Terrace, IL 60181. Ellis Medicine is committed to meeting standards of excellence. Your comments and constructive concerns will help in achieving our goal to continually improve the quality of our services. Your presentation of a concern will not jeopardize the future availability of care or services from us. Ellis provides free WiFi for patients and visitors at all three of our main campuses. Ellis Medicine respects and supports the patient's right to make decisions about their care. Advance directives are written documents that outline instructions about your care, and include a Health Care Proxy form and Living Will. Patients can download these forms here and complete them prior to or during admission to the hospital. Ellis staff members can also assist patients who do not have an advance directive, but wish to complete one. Any patient who needs information or assistance can request to speak to a social worker or contact our Customer Services department at 518.243.1333. A Health Care Proxy is a written document that lets you, the patient, name a person (an agent) to make medical decisions for you if you become unable to do so. A Living Will is a written document that establishes evidence of a patient's wishes regarding his/her medical care. Patients have the right to make decisions about withholding medical treatment and foregoing or withdrawing life-sustaining treatments. For more information or help completing advanced directives, contact our Customer Services department at 518.243.1333.